Ummm, a wwhhhaaattt? Located where? How big? What is a millimeter? Teary eyed I listened intently, “Oh, I’m sorry… an adenoma is a tumor… a benign tumor… micro because it is small. There is no indication the tumor is cancerous.” Oh, thank God! So what does all of this mean? “Well, the doctor who read your scan doesn’t want to diagnose you, so we need to wait for your doctor to decide a course of treatment. Unfortunately, he is out of the country and due back in two weeks.” Huh? Two weeks? That is f-o-r-e-v-e-r!! **sigh** The nurse was a gem and probably heard the nervousness in my voice. She assured me that my Endocrinologist (a doctor specializing in the endocrine system) was calling into the office periodically while on vacation and she would move my name to the top of the list for his attention when he called. Whew, okay… better news! The unknowing was incredibly frightening. When I heard the initial news on Monday I was in shock; all I wanted to do was escape my office. When sad or stressed, my happy elixir is always a Starbucks soy latte (preferably Pumpkin Spice, if in season), so I grabbed a co-worker and we headed to our neighborhood barista. I’m so grateful my friend didn’t question me when I told her I needed to get out of the office for a minute… thankfully she joined me without hesitation. On the quick walk across the street I explained the phone call, test results and my overall confusion and anxiety. She was incredibly comforting and supportive. Upon returning to work with my happy elixir in hand, I began to search the internet for answers. Where is the pituitary located in my head? Is this a brain tumor? How big is 5mm, anyway? Do I eventually have to have surgery? If I do will the neurosurgeon go through my brain? What is the recovery time? My Google search proved fruitful and I soon learned the pituitary is located right behind the eyes, is about the size of a kidney bean, and is attached to the brain stem. So my tumor was not a brain tumor because it was not inside brain matter. Whew! And from what I could tell 5mm was about the size of a mustard seed – super tiny… indeed micro. Now armed with the treatment decision, I still had more questions… What is the drug? Is it a chemo-type pill? What does this drug do? Is it covered by my insurance? How expensive is it? Are there side effects? How long do I have to take it? Why is a drug the answer and not surgery? I have a foreign body taking up residence in my head… don’t we want to remove it? Yes, so many questions swirled through my mind, but for some reason no words actually made it out of my mouth. The nurse hung up before I could get any answers. Again, I turned to my trusty computer for answers. In a matter of minutes, I discovered my tumor (called a prolactinoma) is the type of tumor that secretes a hormone called prolactin. These types of tumors are treated with drug therapy. The other type of pituitary tumor does not secrete a hormone and must be surgically removed by going through the nose and sinus cavity. The ‘xyz’ drug was covered by my insurance and would cost about $300/mo for five pills. I only take ½ a pill two times a week. I’m not a fan of another $300 bill added to my monthly expenses, but it is doable. I have affectionately called ‘xyz’ my “super-power-kill-a-tumor-drug” Ha! The super-power drug does not come without some pretty heavy side effects. Everything from the basics: vomiting, nausea, and constipation to the more intense: mood swings, depression, aggression, and hallucinations. I’m happy to say I have neither vomited nor experienced hallucinations. Everything else I’ve experienced. Fun! Every day I wondered who will I be today? Angry Renae? Elated Renae? Depressed Renae? Apathetic Renae? The mood swings were dramatic and changed day-to-day. I figured it was time to share my news, so people didn’t think I was having a nervous breakdown. And, I wanted people to watch me. If I started hallucinating would I be lucid enough to recognize it? Who knows? As I started to tell friends, family and co-workers the support was overwhelming. I’m grateful to everyone for their support. A few friends actually took me out for happy hour to “toast my tumor” one night after work. It was phenomenal to have so many people rally around me. My parents were the last to know. I had a feeling they might panic, so I needed to make sure I was emotionally okay with the diagnosis myself before I told them. That way, I could be strong and support them, if necessary. Thankfully, they handled it well. At my three month checkup, my Endocrinologist told me that my recent blood test results indicated the super-power-kill-a-tumor drug was working. My prolactin hormone level had fallen from 32 to 4.2 which was now within the normal range of 3 – 19. Yah Rah!! My excitement quickly faded as he went on to tell me that I will be on this ‘xyz’ drug for two years and my next MRI will be in June 2014. What? Really? Ugh. Yes, and I will be subjected to blood tests every three months to ensure my kidneys and liver are not negatively impacted by the drug as well as monitoring my hormone levels. If my MRI in 2014 shows that the tumor has shrunk or been eliminated then I can stop taking the ‘xyz’ pill. Yet, I will still have blood work and visit my doctor every three months to ensure the tumor doesn’t return. 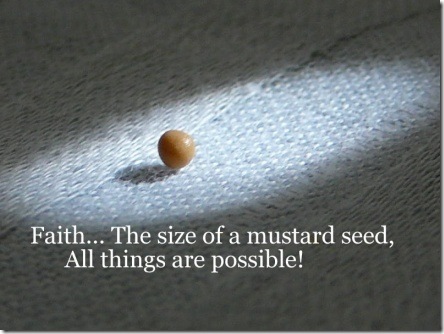 Do you know there are 27 verses in the bible which reference a mustard seed? Hmmm… I guess this little mustard seed-sized tumor holds my lesson(s). Not sure what lessons quite yet, but I decided to look at this diagnosis as a blessing. For years, I knew something was wrong. I ate right, worked out vigorously in boot camp with a personal trainer and never lost an ounce of weight. After nearly a decade, finally the FIFTH doctor I visited in search of an answer found the tumor. I’ve learned that the pituitary is the central hub for hormones and if one hormone is out of whack, then every hormone in out of balance too!! Now, I refer to my tumor as my lil jelly bean and I envision she is hot pink and in the shape of a heart!! The jelly bean is my friend and she has probably been with me for nearly 10 years. All-in-all, I’m pretty lucky. Yes, lucky. My tumor is not cancer. Surgery is not required. The tumor is small – tiny actually. There is a drug available to treat it and I have decent insurance coverage to take care of the expense. I finally have answers. Soon, the weight should drop off too. For all of this I’m thankful. My Daddy summed it up pretty well, “You kept at it. You knew something was wrong… and doctor after doctor… you never gave up. Yes you spent a lot of time, money and effort over the years trying to figure out what was wrong, but now you finally have answers.” Couldn’t have said it better myself. Amen! By the way, ‘xyz’ does have a name, but I didn’t want to get all medical jargon technical. Ha! Yay! I’m glad it’s tiny and very treatable…and looks like a hot pink heart! 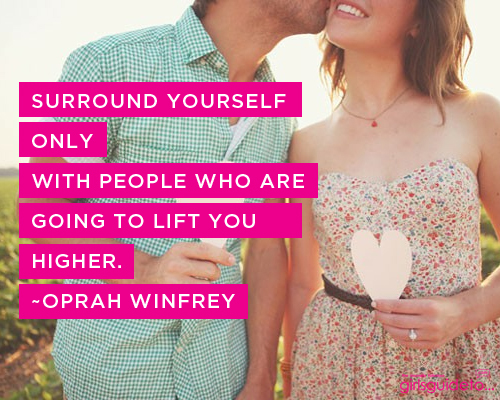 ;o) Sounds like you have a wonderful support system. It’s helping because you sound like you’re on top of this lil’ jelly bean. You got this girl! Peace and Hope, plan on them for your future and look to God to show Himself strong on your behalf and it will be so. The parable of the Mustard Seed is one of my favorites to read again and again… Thank you for sharing your testimony of God’s Grace and Blessings!!! It is fast becoming one of my favorite parables too!! I know getting aware of one’s illness and then coping with it is a matter of great courage. 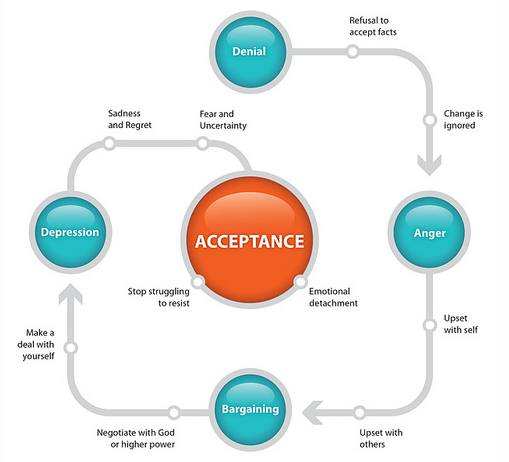 I have also been diagnosed with clinical depression, and you know it also constitutes some hormonal imbalance and the mood swings are one of the horrible things that clinical depression presents you with, but thankfully my faith in God was unshakable, I was sure that if He has taken me to this, then He will make me go through this and this is really the power of faith that at present I am about 80% out of this depression. I strongly feel that if my blessed life was not stricken by this depression kind of thing, then I would not be a person I am now. I have learned lots of valuable lessons from my depression and now I am cherishing their wisdom. Yes, I faithfully believe… “If God brings it to you, He will bring you through it!” and “God doesn’t give you anything you can’t handle!” Sometimes I wish He didn’t believe I was so strong though. Ha! And, I’ve learned in life we need both the good and the bad!! Even a battery needs the positive and the negative end in order to work 🙂 Wishing you well through your depression battles. Happy to hear you’re doing better!! xo!! I ll never forget this ‘mustard seed’..A Like for this one. Thanks Renae,II will mention your this post,good to read senasble things. Your blog is beautiful, as is your heart. I love this post. I love the mustard seed. Seeing the strength you have to overcome gives me strength. Thank you for sharing this. 😀 You are undoubtedly amazing. While your medical condition seems to be getting under control it must still at times feel overwhelming….but its clear that the support system you have has helped you though. That and the responsibility you took upon yourself to educate and learn about what is going on. Good for you. Wishing you more improvement as the months go by…and that come 2014 you find it has disappeared. AWE, thank you Katie!! It is amazing how supporting everyone in the blogosphere has been too!! What a lovely surprise to read supportive comments!! You’re a gem!! It was shocking to me that it took three months before I wrote about it all. Ha! Beautiful writing, and beautiful living. Thanks for this gift. Laird, writing is my passion. It proves very therapeutic for me!! And, if others enjoy my posts then it warms my heart and is completely win/win!! I’m so appreciative of your supportive comments!! Some beautiful thoughts on mustard seeds, living, and faith. WOW, thank you Laird!! This is only the second time I’ve ever been reblogged. What an honor!! You just made my day 🙂 I’m so grateful this post resonated with you!! Thanks again!! Amen, bounce 51 🙂 Amen!! That is one of my favorite bible quotes. Faith is one of the hardest things to come by, whether it is faith in God, or just faith in ourselves. hi renae, thank you firstly 4 following me, it means a lot & led me bk 2 u. i too had an mri. they discovered MS. mild but still ms. yes it is a shock isn’t it? like you i have come 2 see it as a blessing. not just that i don’t have it as bad as some ms sufferers. but that God AND myself B4 i came down to earth for this lifetime CHOSE 2 experience this dis-ease. 2 be able to feel what it’s like to be experiencing that – really experiencing for myself as a human, a fragile but brave human being like a strong flower blown about by the wind. aren’t humans miraculously strong beings with such faith deep inside? sometimes it takes a shock 2 knock our souls up to the surface and shake our egos off like sand. And there we stand the REAL us. don’t forget Christ came to show we need never fear ultimately. We are Immortal! All of us. so let’s all see our own personal experiences and those of our loved ones as paths through a human life to experience whatever we chose to so we can grow. Temperance God just now tells me it is. tempering the metal of our souls. well done to you. you are an inspiration! and ur site is so pretty and pink and cheerful. it’s like love raining down on us. thank you. As Renae said that is a tough diagnosis, whether mild or not, and it is a “skin” you will now wear with you were ever you go. I have seen miracles for MS people that used apitherapy aka bee sting therapy. There is a lady in Waldorf, Maryland that will sting you for free. Look into Reiki or other energy work too. You are on a journey and you will need all the support you can get for this one. Wow! What a inspiration you are Renae! Also thank you for stopping by my site. I pray for God to bless your health and give you lots of joy! You’re a gem, Cherilyn!! Thank you for your prayers and blessings!! Right back at’cha, sistah!! Ok, brought me to tears. I’m glad you found some answers! I know the weight thing. Weight used to melt off of me, and it won’t at all because of a medication I’m on. Anyway, about your blog. Good for you for keeping up with it, keeping people informed, (as necessary). I’m sorry you have to be on that medication, though. Some are very difficult to deal with. But if you have to, you have to. The weight thing is a plus! Thanks for reading my blog, and I appreciate yours too. Pretty pages by the way. Awe, tears? I hope they were happy tears, pinprickoflight!! Thanks for stopping by Candy Coated Reality!! I’m thankful for all the support from fellow bloggers like yourself!! So comforting 🙂 You’re right… certain medications are necessary and I WILL power through it all. I’m simply grateful to have found such a super-fabulous-talented doctor. Finally!! Well, this site surely is a great support system, that’s for sure! Oh, Jan… blessing to you!! Thank you so much for adding me to your prayer list. I’m grateful beyond measure!! 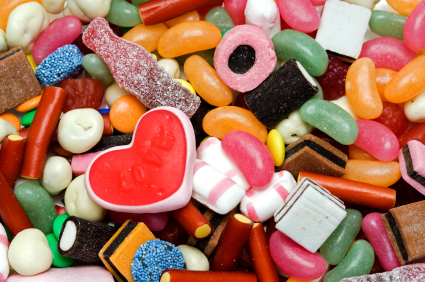 Yes, my favorite place in the world is a candy store, so I’m trying to emulate that fun, colorful feeling here in my blog too!! By your words alone, I can tell that you are already moving mountains… the mustard seed reigns within you!! In light of your doctor’s comment about checking your liver and kidney, can I suggest that you try to find some TEMULUWAK (powder or ?, try a natural health food store), to keep them in check. Best to keep your immune system in tip-top shape while you take on this brave healing journey.. go sister! Thank you so much for reblogging this post, enlightenedspirit!! I’m blessed beyond measure 🙂 xo!! Renae, you ARE an absolute miracle! Your journey even though it started out as confusing news is a blessing in disguise and I love how you tied it into the “faith of a mustard seed” concept. God has His ways of just finding Himself subtly in our lives and your strength – it is overwhelming. I even love how now that you’ve come to terms with your discovery (not ailment) how you’ve termed it to be your “little hot pink jelly bean” Lol. Yes I can picture it. In time to come, He will melt that bean to merely nothing and things will be normal again in the name of Jesus for your life. You will live a life fulfilling and blessed by the hands of God, you are an awesome example of God’s presence in our lives. You are an inspiration, keep up the joy and the blessings of God as it continues to shine in you. That lovely elixir (lol) sounds absolutely delis! Lol. I love your high-spirits and wonderful sense of humor. You are a blessing! Oh, wow, thank you Melissmor!! In reviewing my posts I find that when I started Candy Coated Reality in Sept 2011 God was present, but I never wrote about Him. Now, He seems ever-present in my blog posts. Funny to see how one life, one blog, etc can evolve in such a short span of one year. I do not set out to write about Him… He just seems to show up 🙂 I’m thankful that I’ve absorbed the positive attributes of my family members… and we seek silver linings, praise God and look on the brightside! I know my jellybean holds lessons and I hope and pray that I’m seeking them effectively!! God bless you & yours!! Certainly, yes your blog, your experiences have evolved and are touching lives and providing hope, thank you for your blessings, as you know, I wish you ALL God’s bountiful blessings in discovering and loving you! Thank you so much, vivkell 🙂 I trust faith will guide me 🙂 Wishing that for you too!! I love the name of your blog and i love what you have written in this post. I wish i had something i could point to and say this is what it is – look. Stay well! You certainly know how to sum up dontcha? Yes, you are lucky it is not cancerous but still, it’s awful that people have to go this kind of thing and suffer with such medical treatments. I guess our bodies are just constantly under attack from our environment and each individual’s physiology handles it differently which is why some people get tumors while others don’t. You seem like a very strong willed woman and determined! Thanks for sharing this, I hope if others are googling this subject they might fall across this blog and find strength from your story. You are so strong and an inspiration to us all. “Jesus said to them: It is like a mustard seed – smaller than all seeds, but when it falls on the tilled earth it produces a large tree and becomes a shelter for all the birds of heaven”. Renae you are the seed that has now grown into a tree giving strength to everyone around you. God Bless. Ranjiv, I’m so happy you’ve stopped by Candy Coated Reality! Thank you so much 🙂 Your comment brought a tear to my eye… I certainly hope I help/strengthen others through my writing. I feel it is my divine intention!! God Bless!! I really love your positively upbeat approach in dealing with this “mustard-seed-size-issue”! Thank you, Anna! I strive to find the silver lining in everything… it isn’t always easy… but I certainly try 🙂 xo!! Liked it and reblogged onto mine (thanks for visiting—what did you think of my “redhead” poetry?) at bythemightymumford.wordpress.com—I also blog on Ron DuBour’s ourpoetrycorner.wordpress.com. Ron’s blog is where I have LOTS of faith and redhead poetry pieces, for your information, over 1000 posts. By the Mighty Mumford is my new solo blog. HAVING HAD AN over-active thyroid, treated by radioactive iodine, while dealing with my wife’s 2 (two) bouts with cancer and our combined walk of faith brought back memories…good ones. Thank you for sharing your personal experience with us. Thank you for stopping by my blog and reading my most recent blog. It’s not yet finished though. I’m glad you did stop by because it gave me an opportunity to read yours. AB FAB! Your persistence paid off, so don’t stop there. Keep looking for answers because in the 2 years until your next MRI new things will be happening, with you, your hormones and the medical field. Our bodies are amazing things capable of so much healing and recovery. And I love the mustard seed thrown in there. 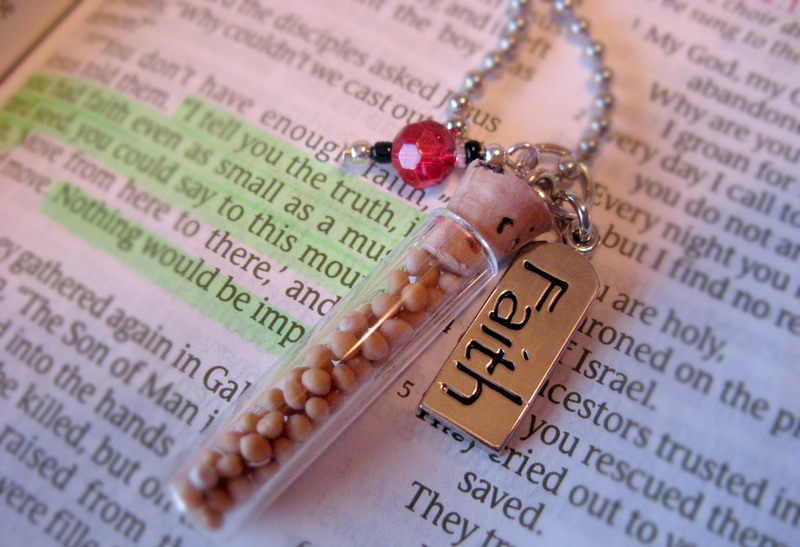 I often wear a necklace with a vial on the end of it, that was intended for perfume, but mine is full of mustard seeds. I call it my “Mountain Moving” necklace. I wear it on days I feel I will have a few mountains in my way. I get asked, what’s inside all the time and then it is a opportunity to “share my faith” and give them a mustard seed so they too can move a few mountains. Thanks for stopped by my blog the other day. You are beautiful! Thank you for sharing your courageous story and for having such a positive outlook on life! We can only hope that lil mustard seed of faith is catching with everyone who reads this. I know it helped mine. Blessings to you! ps: thank you for liking my post the other day. I love the way you write! I feel like I’m talking to a friend. Awe, thanks ScaredCow Studio… what an AWESOME compliment!! thanks for visiting my blog (fearfully & wonderfully made). I enjoyed yours and will be back again. Cheers! Thank you, Nu!! Your words of support mean a lot 🙂 xo!! Your comment means so much!! Thank you for your kindness, Livonne!!! You’re story is very inspiring. Thanks, Cocoa!! I’m confident in two years my little jelly bean will be gone 🙂 YAH RAH!! Hey gorgeous. It was you I was referring to in my blog Losing Perspective “In the same way we might go from doctor to doctor to validate something we cannot see but we are feeling the negative effects of” by the way. Thanks for that. I will give you proper credit next time! Awe, thanks for the shout out 😉 I really love your blog… cant wait to read your next post!! Yogalight, well said… couldn’t agree more!! Thank you, Paula Mari 🙂 Sending you love and light!!! Greentea? Oh, I love greentea!! 😉 Thanks, Ag. I’m happy to share positivity with ya… take all you need!!! Ya know… I love that little, tiny smiley face too, LOL!! Keep being you, fabulously!!! blessings for your recovery, and thank you for sharing your bright spirit! Dear Renea Sending you healing in meditation today , one hundred million Blessings. Oh, WOW, Thank you Russell 🙂 You’ve brought happy tears to my eyes!! I’m so grateful for your meditation, healing and blessings!! You’re too kind!! Blessings, love and light right back to you!!! ………………………. “It is You Renea Rossman, who has Cured me ” ………………… One in consciousness. Sheri, I bet those were the longest four days for you!! WOW. So happy to hear your surgery was successful and you’ve been clean ever since!! YAH RAH!! Yep, tumors can certainly prove to be blessings 😉 Thank you so much!! Glad to hear your tumor is not cancerous. I encourage you to start Mike’s health cocktail. On my site muley12@wordpress.com. much love to you. PS avoid those prescription drugs like the plague. Thanks, Mike!! I’m happy to report I’m doing well 🙂 Yah RAH!! Renae, I love the way you share your stories! I would have flipped out with the news of a tumor in my head. Hopefully, you are winning, or have already won the battle. Remember, God will rescue the godly from trials…(2Peter 2:9). He will also never leave nor forsake you…(Heb. 13:5). Thank you, Steven!! Yes indeed I’m doing well 🙂 My super-power-kill-a-tumor pill is WORKING!! Thank you!! So sorry to take so long to reply! I got “behind in my times” as Bob Cratchit said in “Scrooge.” Here’s to a great and prosperous new year to both of us! lessons that others have never experienced. Keep strong and keep praying. Remember Job in the bible. He lost everything! Thank you, jenbyce!! Many prayers have been sent and answered!! Many blessings to you and yours 😉 xo!! So, would you say that your PCOS symptoms went away or were alleviated due to the treatment of the tumor? I’ve always wondered if I had one and if it was contributing to my PCOS symptoms. Lorn, my apologies for not responding until now!!! WOW… 2 years is unacceptable for a response. My PCOS symptoms will always be present, but they are alleviated/managed with medication, exercise, and diet (limiting carbs – potatoes are our nemesis). Mettformin has really helped me with insulin resistance and metabolic syndrome. I take 750 mg (extended release) each morning and night and have for years. I even took it my entire pregnancy without any issue or cause for concern. I used to have crazy dark patches on my skin (PCOS symptom), but those have disappeared and my acne is just basic hormonal (caused by age) instead of PCOS related now. I’m not sure if the tumor exacerbated my PCOS or not? The tumor is now gone. My pregnancy hormones caused it to self-implode. YAH RAH!! If you think you have a pituitary tumor then definitely see an endocrinologist. He/she can test your blood to see if your prolactin levels are elevated (if a hormonal based tumor). If so, they may want you to have an MRI to confirm a tumor. Then drug therapy is probably the course of action. Wishing you the best of luck. PCOS is no joke and can be quite challenging!! Sending you positive vibes!! So, would you say that the treatment of your tumor helped your PCOS symptoms? I’ve always wondered if I had one that was contributing to my own symptoms. Hi there, Sorry I never responded. OMG, it is now 2016. I’m so sorry. I had a LOT going on the last two years (fertility treatments, pregnancy, birth and now a 16 month old daughter who really didnt sleep the first 12 months of her life, ha! )… Yes, my diagnosis really helped put all of my hormonal issues into perspective and allowed me to find the right/correct treatment plan. There are so many things that hormones impact in our bodies. My endocrinologist tested me bc many times Cushings Disease (issues with cortisol, stress hormone) is really the diagnosis instead of PCOS. They get easily misdiagnosed/confused. He ran several tests and confirmed PCOS. If you don’t seen an ENDO, I highly recommend seeing one for proper diagnosis and the correct medication. Good luck with your struggle… PCOS is challenging!! Can you please give us an update? Can you share the name of your medication and have you been ok with it? Awe, thanks for checking in on me, Maya! So sweet of you. Well… I was on cabergoline for the pituitary tumor. I took 1 pill weekly (1/2 a pill on Monday and the other 1/2 on Thursday). My mustard seed was hormonal-based, so I took a drug rather than have surgery. I was so blessed with a healthy pregnancy (after 4 fertility tries) and had my medical miracle baby… she healed me!! The pregnancy hormones caused the tumor to self-implode. Sooo, I’m all healed now. Tumor GONE!! I’ve been tested twice over the last year and it is gone, gone, gone!! AND… I was born without an enzyme that processes cortisol (the stress hormone). The condition is called congenital adrenal hyperplasia. My baby girl gave me the enzyme during pregnancy. So that is healed too. How absolutely AMAZING, right? During pregnancy, we were connected at a cellular level and she shared her enzyme with me. The doc gave the process a technical name, but I can’t remember it. Now, I’m tumor-free, condition-free, medication-free and have the most gorgeous little 16 month old daughter!! Truly God’s gift in SO MANY WAYS!! Hope you’re doing well. Take care of you and yours! !